At their February 28 regular meeting, the Norwich Selectboard approved a resolution to join the Vermont Climate Pledge Coalition. 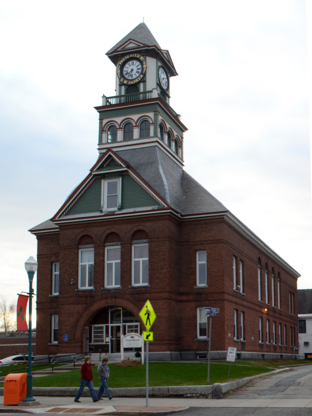 After reviewing the municipal energy use data, the Montpelier Energy Advisory Committee (MEAC), realized that the police station’s thermal energy use had somehow doubled between 2014 and 2015. Sitting 35 feet below a 5.7 acre reservoir in downtown Winooski are three massive German manufactured Sulzer Escher Wyss 3-bevel gear full Kaplan Bulb turbines cranking out up to 7.4 megawatts of electricity and pumping it into Burlington’s electrical grid day in and day out. Supporting their community along with making good beer is what the Alchemist is all about. Orleans County officials, Efficiency Vermont staff, and local contractors gathered at the Orleans County Courthouse Monday to celebrate energy efficiency improvements that will save county property taxpayers an estimated $8,500 a year in energy costs incurred in the operation of the two buildings. 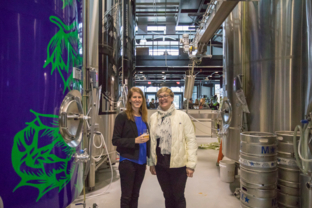 Keeping costs down helps Vermont businesses succeed, and energy is one of those costs. 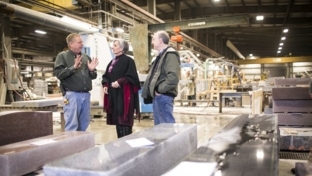 Efficiency Vermont can help business owners reduce that cost with energy efficiency solutions, and strengthen storied Vermont industries like granite manufacturing in Barre.